It may be freezing cold but it is still Friday!!!!!!!!! The weird hook-ups in the fashion world keep on coming (click the blue to see others reversecommuter finds weird), this time it is Swatch buying Harry Winston. In the name of all things sacred, sparkly and non-plastic can the madness not stop?!?! Apparently the colorful, creatively designed plastic watch business is rather lucrative as Swatch has $1 BILLION to spend on Harry Winston. Who Knew?! The Pre-Fall Fashion Week has just closed in Paris. Ever wonder why the designers present collections that have nothing to do with the calendar or even the weather? Fashion Week shows presents collections 6 months early – enough time to wow the audience of magazine editors, bloggers (whoop whoop) and store buyers. The editors, and bloggers write up the most popular or spectacular presentations while the buyers submit their orders. This gives the fashion houses enough lead time for production. That is why you can never find a bathing suit in the month of August in a store but you can find a gorgeous winter coat! Burberry stock slid 21% in September when it projected a slow down in China luxury goods sales. This week Burberry stood by it ‘s earlier comments but suggested there may be a positive change after the new political leadership of China is announced. Apparently within the Chinese culture giving gifts is a big deal. At the moment the list of people in power you would want to gift is unknown. Analysts appreciated the potential silver lining and the stock came back up by 13%. (click the blue for the full NYTimes article). reversecommuter likes the leadership Burberry brings to the Fashion industry. First company to present it’s fashion shows online, real time, (click the blue to read more) and now Burberry lead’s the charge in honest projections regarding China’s luxury retail numbers. 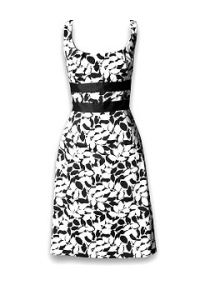 There is a poll online at WWD.com whereby you can cast your vote for Michelle Obama’s choice in dress for the President’s Inauguration Monday February 21st. reversecommuter doesn’t have a clear favorite choice, however would not complain if the First Lady opted up from the infamous White House Black Market frock… just a fashion blogger’s opinion. Wishing you a fashionably fabulous weekend! This entry was posted in accessories, Fashion, Finance, Media, mens fashion, Shoes, Shopping, Technology, Travel, Uncategorized and tagged Burberry, China, Harry Winston, inaugural dress, inauguration, Michelle Obama's dress, NY Times, Pre-Fall Fashion Shows, President Obama, Swatch Inc, White House Black Market, Women's Wear Daily, WWD by reversecommuter. Bookmark the permalink. FREEZING cold forecast for the entire week – brrrrrrrr! It was toasty & fab down here. 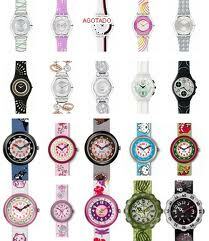 Love love those watches!!! Gotta thing for them!! Great share! The Donestic Diva!!! Swatches have serious lasting power but I would definitely be much happier opening a Harry Winston box! Thanks for likes – much appreciate! 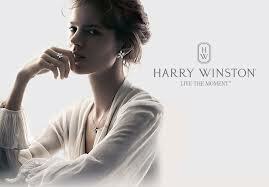 Harry Winston plastic watches – puhleeze!!! !